Few rising stars are able to turn the tides for trance. Being on the forefront of the trance scene in the US, New Jersey’s Monoverse never fails to shatter the limitations for what trance should be. 2018 has proven to be a massive year for Santos, with high profile shows looming around the corner, and recently appearing alongside Aly & Fila, and Paul Thomas to host an episode of A State Of Trance. 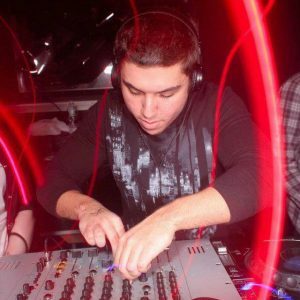 Outside of the usual DJ gig and single release, Santos has taken the role of label A&R for the highly successful FSOE Parallels. Taking up the opportunity of curating his own faction of the massive FSOE label, Parallels has pridefully delivered excellent releases with sounds that traditional labels would be too afraid to pick up. Having released singles from the likes of Vintage & Morelli, Ahmed Romel, Thomas Datt, The Blizzard, and himself, Monoverse is encouraging a spike of creativity in trance releases. Outside of his own platform, Monoverse offers plentiful breadth of different styles of releases on labels such as Pure Progressive, Black Sunset Music, & Black Hole Recordings. Whether it is through a complete re-imagining of a remixed track or the ground-up construction of an original, Monoverse consistently re-defines what his sound is and how it should be digested. While gearing up for his next gig, Santos was available to answer some hard-hitting questions regarding the label, his productions, and the future of what’s to come. Beatcue is proud to present the conversation had, sprinkled with even parts of inspiration, sass, and falafel. Hello Santos! Thank you for taking the time to answer some questions for us! What have you been up to recently? Thank you for having me! I’ve recently launched my new radio show Parallels, played an epic gig in Atlanta for Iris Presents & Unity Events, and am now gearing up for shows like Dreamstate SF and FSOE 550 UK this summer. Exciting times for sure! I was doing some reading up on quantum physics and read an article that used the term monoverse to describe a single universe with a linear timeline (a start and end point). I liked the distinction it made versus multiverse theories and when looking for a new name to release music under it came to mind, especially with some music-related wordplay like a mono audio signal! FSOE Parallels made its debut late last year, how do you feel about the label’s progress up to this point? It has been challenging, but incredibly rewarding to launch this new imprint with FSOE. As we’re moving forward I’m finding more and more incredibly forward-thinking music and can’t wait to share with the world our forthcoming releases. I think producers and fans alike are starting to catch on to the ethos of the label, and more artists are sending truly inspired material my way – and that’s what’s truly exhilarating for me. 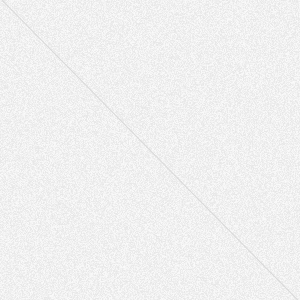 What would you say separates Parallels from other labels? I would say that instead of pigeon-holing producers into the label’s sound, I’m more geared towards providing these artists a platform to explore their own sound and develop their own artistic vision. As artists feel they have more room to be creative, their capacity to make quality music expands as well. I think this is really starting to show as the artists feel more and more free to make what they want. Parallels has turned into more than just a label, for example you’ve recently launched your own weekly Parallels show and hosted your own Parallels event in NY with RNX and Blugazer. What ties these different outlets together? When it comes to the weekly show or artists to bring on for events, I’m really looking for the same thing I do in releases for the label – people who are bringing something fresh to the table, regardless of a specific style. I’m always looking for music that stands out from the crowd and while not everything may fit the label, the show provides a great outlet to support that music otherwise. 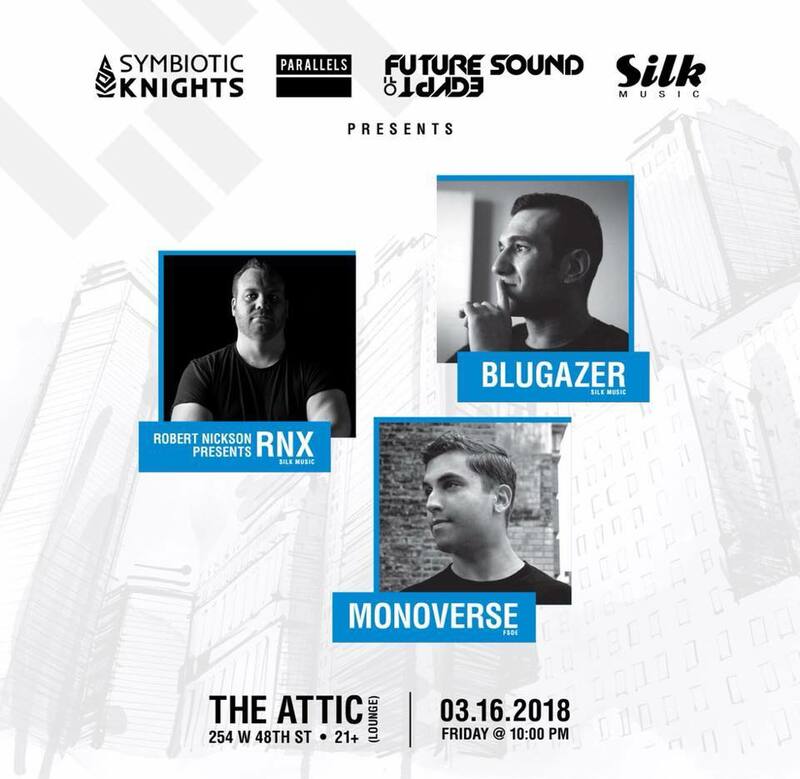 When the stars align to do awesome events like the first Parallels night in NY with Robert Nickson as RNX and Blugazer, I’m always down to try and bring a different kind of musical vibe to an event! Your style recently has varied drastically, the high energy releases like “Aria” and the collaboration with Assaf, to the down tempo remix of “Rainfall.” How does a track come together in the studio for you? I’ve never been the type to really start a project with a need for it to fit a specific style or sound, but more recently I’ve been feeling more and more inclined to push for more variation in what I’m doing. Although my higher energy stuff might fit my live sets better, I really love even deeper progressive sounds and after a few iterations of my remix for Rainfall, I scrapped everything and really let the project take me where it needed to. I couldn’t be happier with the results and the support people have given me for all the different kinds of releases, and I’m glad to have that freedom to create whatever I want and still see a positive response. 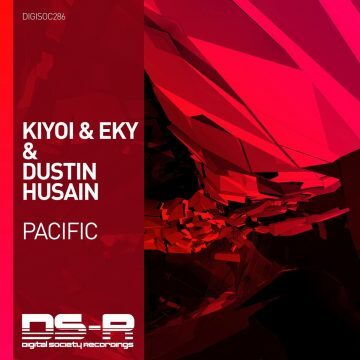 Are there any artists we should watch out for on FSOE Parallels? Far too many to list but we have some absolutely unforgettable tuneage coming from the likes of label regulars like Pablo Artigas, Thomas Datt, Emerge and some new faces to the label I’m really loving like The Stupid Experts, Slam Duck and Niko Zografos. We’ve also just lined up some releases from legendary artists I can’t name quite yet, so do keep your eyes open as the rest of the year is going to be pretty intense. If you could start a duo project with a fellow DJ, who would you have the best chemistry with and why? This is a pretty hard question as I’ve come to terms with the fact that I’m not the greatest team player in collaborative projects, and creating music has been an incredibly solitary and personal thing to me since releasing as Monoverse. That said, a few guys come to mind especially when considering their live performance energy and stage presence. For example, Lostly blows me away every time I catch his live sets, he’s incredibly entertaining to watch. Factor B is another one who you can tell genuinely enjoys what he’s doing. Both are awesome people as well, and I think making music or playing a show with either of them would be a ton of fun. Check out the new Parallels podcast, brought to you by falafel. Thank you so much for having me! 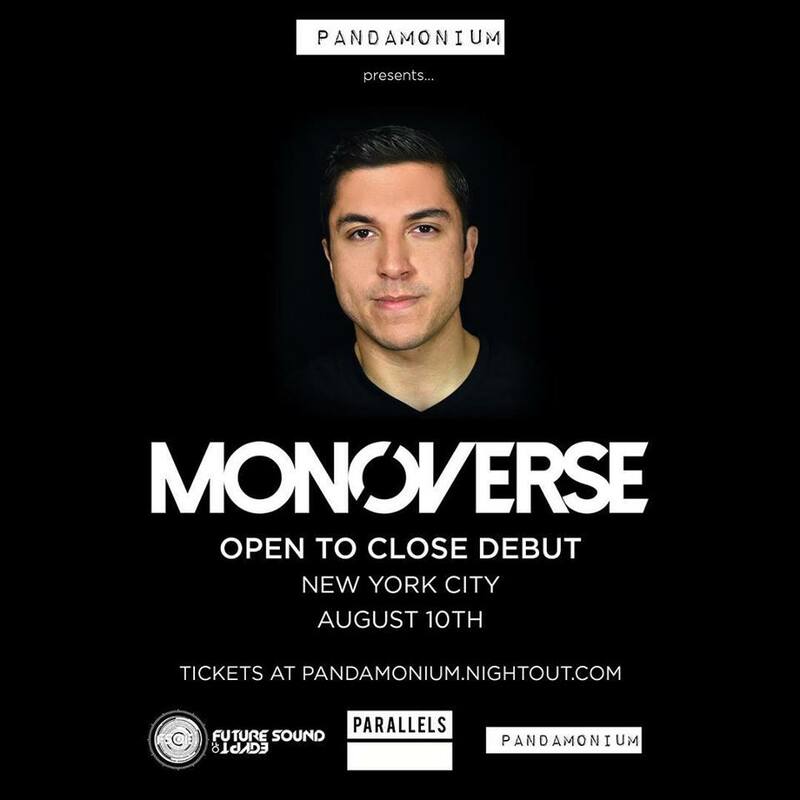 You can catch a special open to close debut from Monoverse soon on August 10th in New York. You can purchase tickets here.